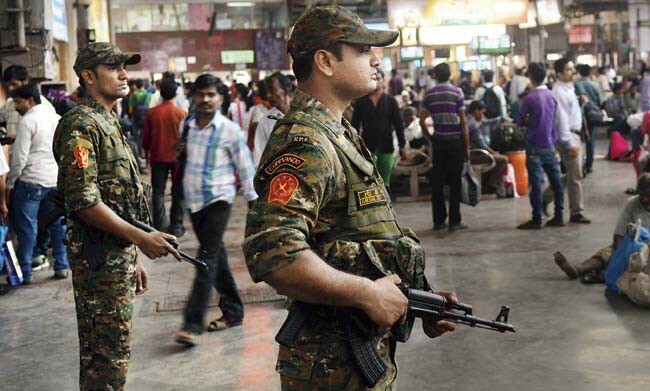 Railway Protection Force (RPF) has announced RPF SI Result. If you have given this exam then you can see the results by going to Railway Protection Force's official website si.rpfonlinereg.org or by clicking the Direct link below, you can see the results too. RPF has declared results of group E and F exams for sub inspector posts. Successful applicants will now be called for Physical Efficiency Test (PET) and Physical Measurement (PMT) and document verification. RPF took this exam for 1120 posts. It consists of 819 men and 301 women's positions. Total 424 candidates from RPF SI Group E computer based examinations have been called for the next phase, while 645 candidates in RPF SI Group F Has been shortlisted for the next stage. Candidates will be called for Physical Preference Test and Physical Measurement after written examination. Candidates selected on the basis of these three will be called for document verification. RPF SI Constable Result 2018-2019: Railway Safety Force (RPF) and Railway Safety Special Force (RPSF) conducted physical examinations (PET) for recruitment of posts of Group E (Constable and Sub Inspector) and Group F (Sub Inspector) , For the Physical Measurement Examination (PMT) and Document Verification (DV), the Shortlisted candidates have been released on the official website of the merit list. All the candidates who were present in the computer based test can go to the site and check their name and roll number in the PDF. Please state that this examination was conducted.A total of 3153 candidates have been shortlisted in the CBT examination, out of which 2084 will be appointed on RPF Constable Group E post, 424 RPF SI Group e posts and 645 RPF SI Group F posts. Eligible candidates in merit list will have to go through PET / PMT and DV. All these examinations will be held in the last week of February 2019. RPF SI Group E and F Result The result of Sub Inspector Group E and F has been issued by the Railway Protection Force (RPF). The result is released on RPF's official website ie si.rpfonlinereg.org. Candidates present for the exam can go to the official website and see the results. Candidates who qualify for Computer Based Test (CBT) have to appear for PhysicalExtiency Test (PET) and Physical Measurement (PMT). PET and PMT for Group E and F are expected to be held in the month of February 2019. Railway Protection Force (RPF) has released the result of Group E and Group F Sub Inspector recruitment. Results can be checked at si.rpfonlinereg.org. Candidates in CBT can take part of PET and PMT. PET and PMT of Group E and Group F can be done in the month of February only. Candidates will also be called for document verification. - Visit the RPF's official website si.rpfonlinereg.org. - Click on the 'Candidates shortlisted for PMT, PET, and DV' link on the homepage. - Select Group E or F. Find your name and role number.